The main ingredients of the Passion Peel-Off are; Raspberries, Passion Flower and Pomegranate. The purpose of the mask is to remove excess oils and protect the skin. I found that this mask smells super fruity and it really is a pleasant smell, so you don't mind having it on for the 15-20 minutes you are supposed to keep it on for. 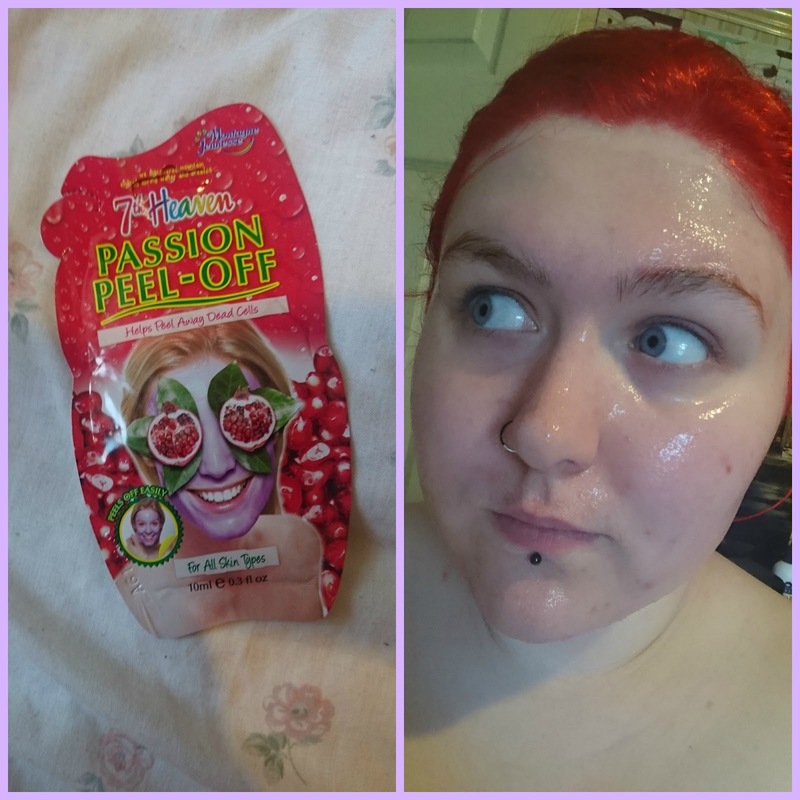 I found that it was pretty comfortable on the face, with a lot of other masks I felt that they tingled and sometimes burnt my skin, but I didn't feel that way with the Passion Peel-Off. It was actually quite soothing and when applied it didn't feel horrible at all. The mask dries pretty quickly. I usually keep my masks on for a little longer than they recommend, but this one dried within the 15 minutes (I still kept it on for around 25). Peeling off the mask was so easy, because it had completely dried I had no problems with having to kind of rub the mask of my face! It came off with a few tugs and didn't feel as though it was stretching my skin. After I removed it my skin felt incredibly soft and the mask did seem to have calmed down my redness. It honestly felt lovely and my face felt really clean! I think I will be repurchasing this mask because it did make my skin feel great and it did improve my skin! Have you tried this mask? What are your favourite face masks? Let me know!